Dr. Arthur Hill is a thoracic and cardiac surgeon based in San Francisco, California. He has been in practice for 35 years. Dr. Hill graduated from the Tufts University School of Medicine in 1982. 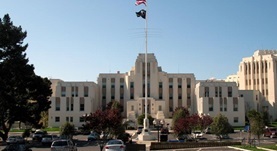 He continued with an internship stage in surgery at the University of California, Los Angeles and between 1983-1988 he also completed here his residency in general surgery. He completed two fellowship stages at Stanford University Medical Center in cardiovascular surgery and cardiopulmonary transplantation and a fellowship at the Cleveland Clinic Foundation. Dr. Hill is a board-certified specialist in surgery, thoracic surgery, and critical care medicine. He is a member of the College of Chest Physicians, the International Society for Heart and Lung Transplantation, the American Medical Association, the California Medical Association. Dr. Arthur Hill has been actively involved in the research field. He contributed to several publications and some of his interest topics were coronary anastomosis using a nitinol U-Clip device, angiographic evaluation of coronary arterial graft interrupted anastomoses, integrin-mediated activation of TGF-ß, peptide-coated vascular grafts, in vitro and in vivo studies of ePTFE vascular grafts. 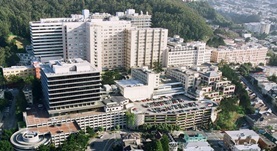 Dr. Hill is currently affiliated with UCSF Medical Center and San Francisco VA Medical Center. Dr. Arthur C. Hill has contributed to 3 publications. Guy, T.S., Hill, A.C.; Annu Rev Med. 2012. Wolf, R.K., Alderman, E.L., Caskey, M.P., Raczkowski, A.R., Dullum, M.K., Lundell, D.C., Hill, A.C., Wang, N., Daniel, M.A. ; J Thorac Cardiovasc Surg. 2003 Jul. Heart xenograft survival with chimeric pig donors and modest immune suppression. Beschorner, W.E., Sudan, D.L., Radio, S.J., Yang, T., Franco, K.L., Hill, A.C., Shearon, C.C., Thompson, S.C., Dixon, R.S., Johnson, N.D., Kuszynski, C.A., Rubocki, R....; Ann Surg. 2003 Feb.